Patti LuPone recently starred in Douglas Carter Beane’s Shows for Days, directed by Jerry Zaks, at Lincoln Center Theater. Her New York stage credits include Anna 1 in The Seven Deadly Sins (guest soloist with the NY City Ballet); Joanne in Company (NY Philharmonic); David Mamet’s The Anarchist; Women on the Verge of a Nervous Breakdown (Tony, Drama Desk, Outer Critics Circle Award nominations); Gypsy (Tony, Drama Desk, Outer Critics Circle and Drama League Awards); John Doyle’s production of Sweeney Todd (Tony, Drama Desk, Outer Critics Circle Award nominations); Passion; Candide; Can Can; Noises Off; Sweeney Todd (NY Philharmonic); The Old Neighborhood; Master Class; Patti LuPone on Broadway (Outer Critics Circle Award); Pal Joey; Anything Goes (Tony Award nomination, Drama Desk Award); Oliver! ; Accidental Death of An Anarchist; The Woods; Edmond; The Cradle Will Rock; Evita (Tony and Drama Desk Awards); Working; The Water Engine; and The Robber Bridegroom (Tony Award and Drama Desk nominations). London – Matters of the Heart, Master Class, Sunset Boulevard (Olivier Award nomination) and Les Miserables (RSC world premiere production) and The Cradle Will Rock (Olivier Award for both productions). Opera credits include Jake Heggie’s To Hell and Back (San Francisco’s Philharmonia Baroque Orchestra, for the Los Angeles Opera), John Corigliano’s The Ghosts of Versailles and Brecht-Weill’s The Rise and Fall of the City of Mahagonny (LA Opera debut) and Marc Blitzstein’s Regina (Kennedy Center). Films include Parker, Union Square, City by the Sea, David Mamet’s Heist and State and Main, Just Looking, Summer of Sam, Driving Miss Daisy, Witness. TV: Penny Dreadful (Critics’ Choice Award nomination), Girls, American Horror Story: Coven, Ugly Betty, Will & Grace, Passion and Sweeney Todd, Oz, Monday Night Mayhem, Evening At the Pops with John Williams and Yo-Yo Ma, Frasier (Emmy nomination), Law & Order, The Water Engine, L.B.J. and Life Goes On. Recordings, in addition to original cast recordings, include: Patti LuPone Live, Matters of the Heart, The Lady With The Torch, Patti LuPone at Les Mouches, Far Away Places. 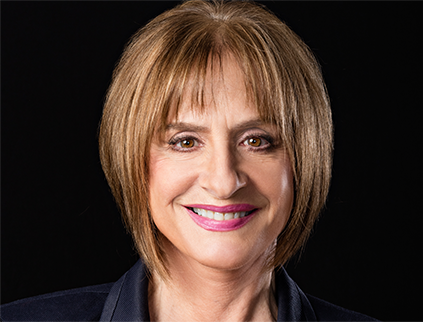 LuPone is a founding member of the Drama Division of The Juilliard School and of John Houseman’s The Acting Company. 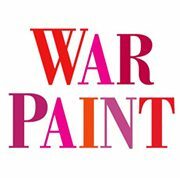 She is the author of the NY Times best-seller, Patti LuPone: A Memoir. Christine Ebersole has received virtually every Off-Broadway award and her second Tony Award for Leading Actress in a Musical for her dual performance as Edith Beale and Little Edie Beale in Grey Gardens. Other Broadway credits include her Tony Award-winning performance as Dorothy Brock in the smash hit revival 42nd Street, Dinner at Eight, (Tony and Outer Critics Circle awards nominations) Steel Magnolias, On the Twentieth Century, I Love My Wife, Angel Street, Oklahoma, Camelot opposite Richard Burton, The Best Man, and the recent revival of Noel Coward’s Blithe Spirit, co-starring with Dame Angela Lansbury. She has starred in five City Center Encores!, and received an Obie award and a Drama Desk nomination for her work in Alan Bennett’s Talking Heads. 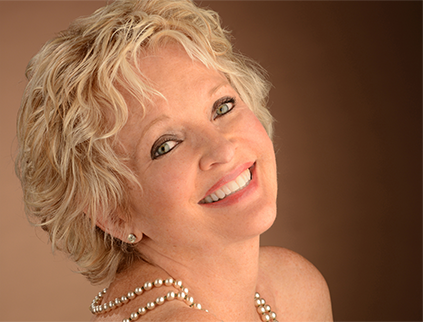 Ebersole has appeared in over 20 feature films including The Wolf Of Wall Street, Amadeus, Tootsie, Richie Rich, Black Sheep, My Favorite Martian, Dead Again, Folks!, True Crime, My Girl 2, and The Big Wedding, which also features an original composition that she wrote and sang for the end credits of the film. Her television credits include: a regular cast member of Saturday Night Live 1981-82 season, The First Lady on the hit CBS show Madame Secretary, Unbreakable Kimmy Schmidt, American Horror Story: Coven, Royal Pains, three seasons of Sullivan and Son for TBS, Ugly Betty, Law and Order: SVU, Boston Legal, Will and Grace, and as Tessie Tura in the TV movie Gypsy with Bette Midler. Ebersole has performed in the concert version of the Opera The Grapes of Wrath at Carnegie Hall, and she appeared with the San Francisco Symphony at Carnegie Hall in a tribute to Leonard Bernstein. She performed at Boston’s Symphony Hall and Tanglewood starring as Desiree Armfeldt in a concert version of A Little Night Music with the Boston Pops. In televised concerts, she has often appeared on PBS, including her star turns in Ira Gershwin at 100: A Celebration at Carnegie Hall and The Rodgers & Hart Story: Thou Swell, Thou Witty. She has performed on the Kennedy Center Honors, for Andrew Lloyd Weber and Jerry Herman. As a recording artist, Christine has released several CDs: Live at the Cinegrill, Sunday in New York, In Your Dreams, Christine Ebersole Sings Noel Coward and Strings Attached. www.christineebersole.com.